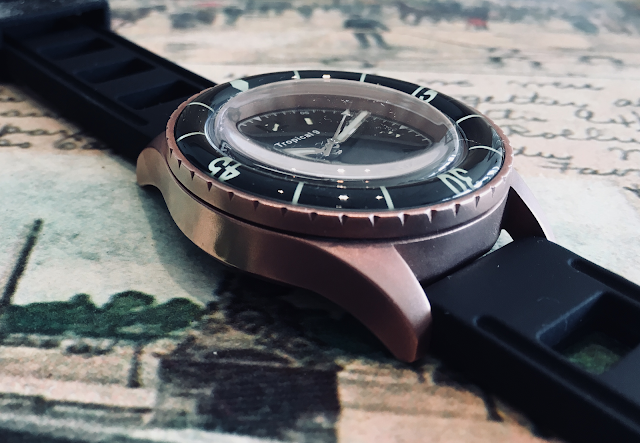 TC-9 is back on Kickstarter with yet another bronze watch. 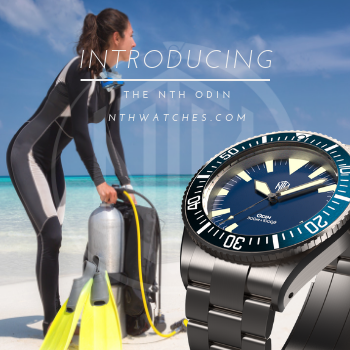 This time, it's a Fifty Fathoms inspired piece simply called the Tropical Diver that starts at £309 (about $410 USD). 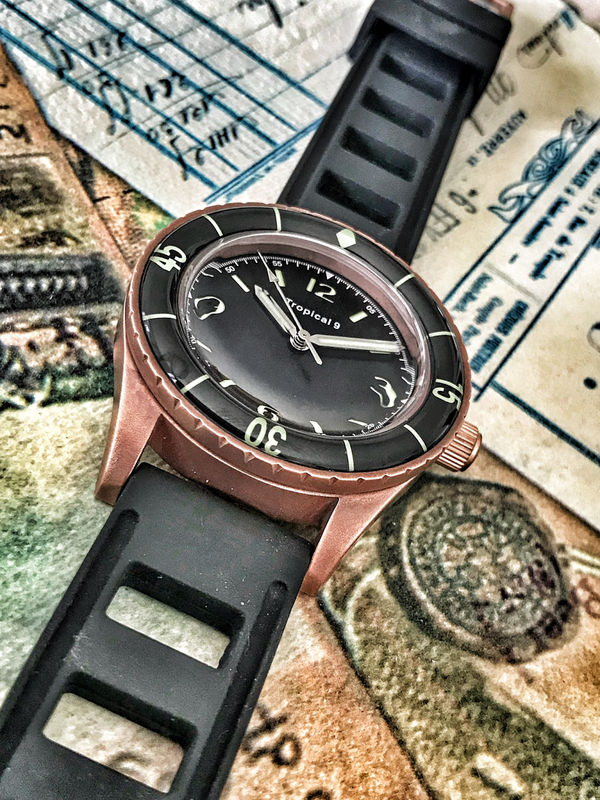 The case is 40mm wide, 48mm long and formed from TC-9's distinctive choice of marine bronze. 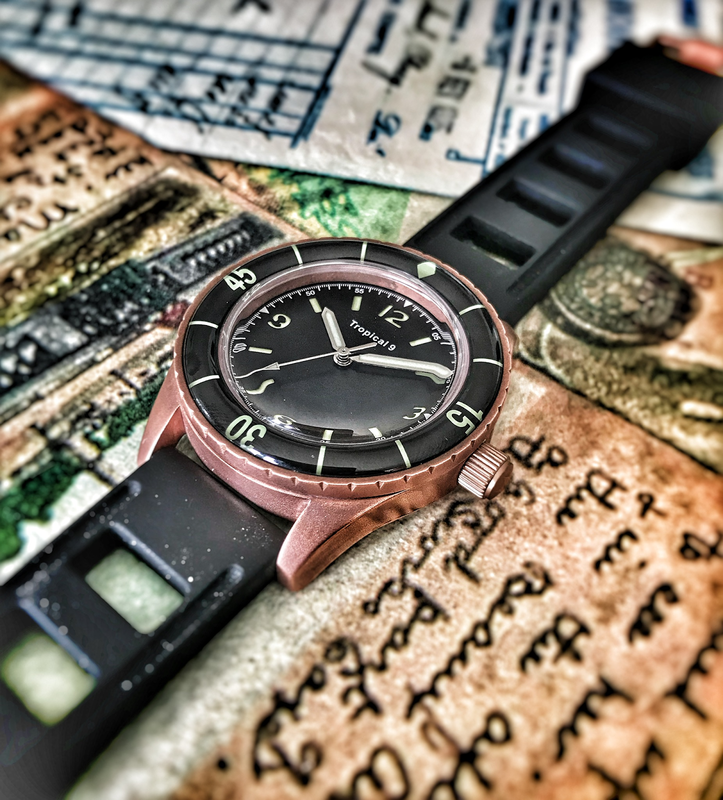 This particular alloy is more of a coppery red than the CuSn8 used for most other watch cases. They claim it forms a more attractive patina. Having owned a couple of bronze TC-9s myself, I can attest that it does oxidize a mellow brown with pleasantly warm tones beneath. 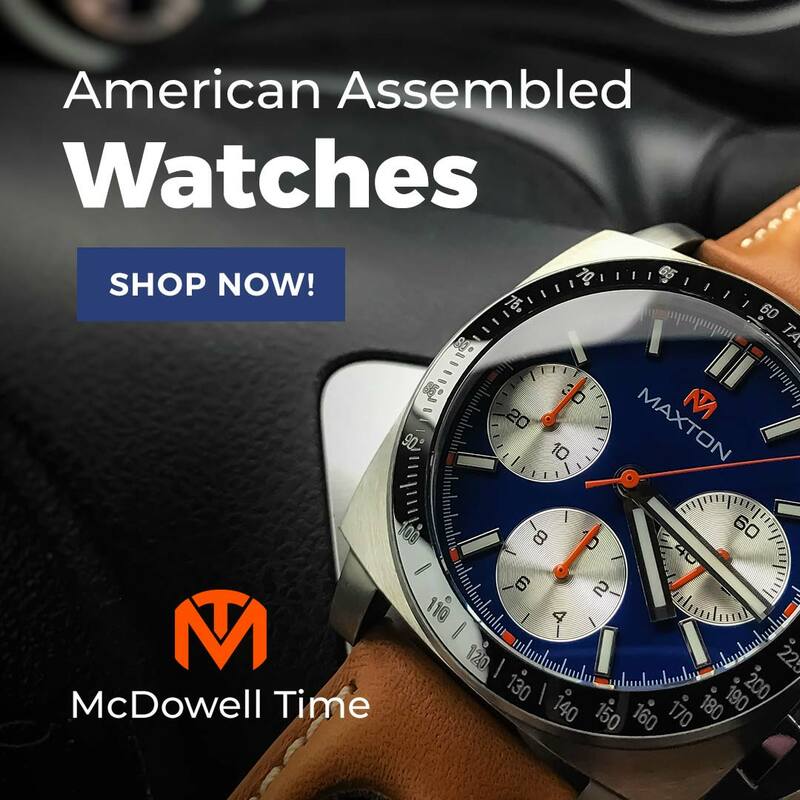 It has a screw down crown and is rated for 200m water resistance. No one wants a bronze case back as the metal tends to turn skin green after prolonged contact, so most companies use stainless steel. TC-9 went for straight-up overkill and instead fitted a titanium case back and powder coated it in matte bronze to match the rest. A sapphire exhibition window shows the Swiss Sellita Calibre SW200, a 26 jewel, 28.8k bph automatic with a 38 hour power reserve. If they make their max stretch goal of £55,000, they'll upgrade to an ETA. 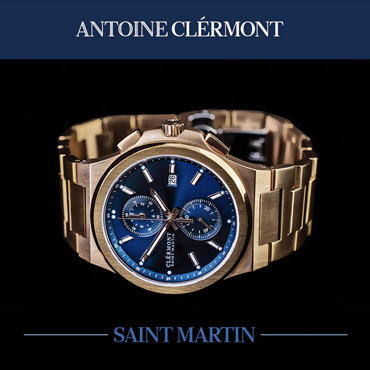 A high domed sapphire bezel lends it the right vintage look, but it is the massive sapphire crystal that steals the show. 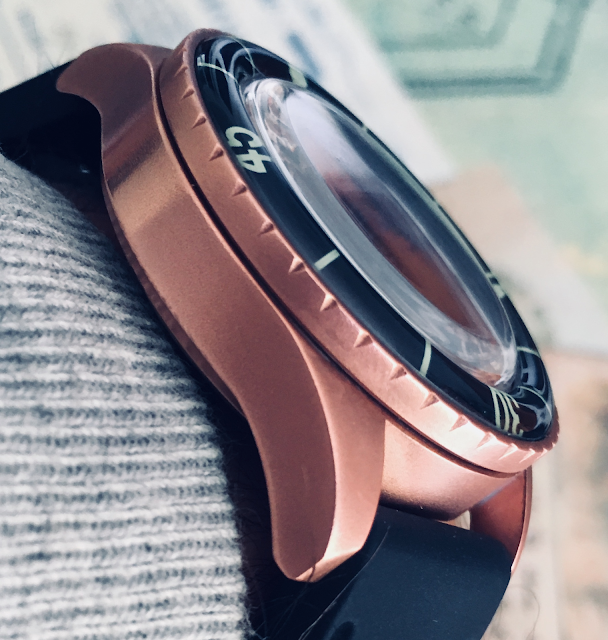 It stands 3mm tall, raising the overall height to 15mm and in conjunction with the bezel, creates a lovely double-bubble effect with wild edge distortion. Sapphire box crystals are not common at this price point, and for good reason. They are difficult to manufacture and about 4x pricier. 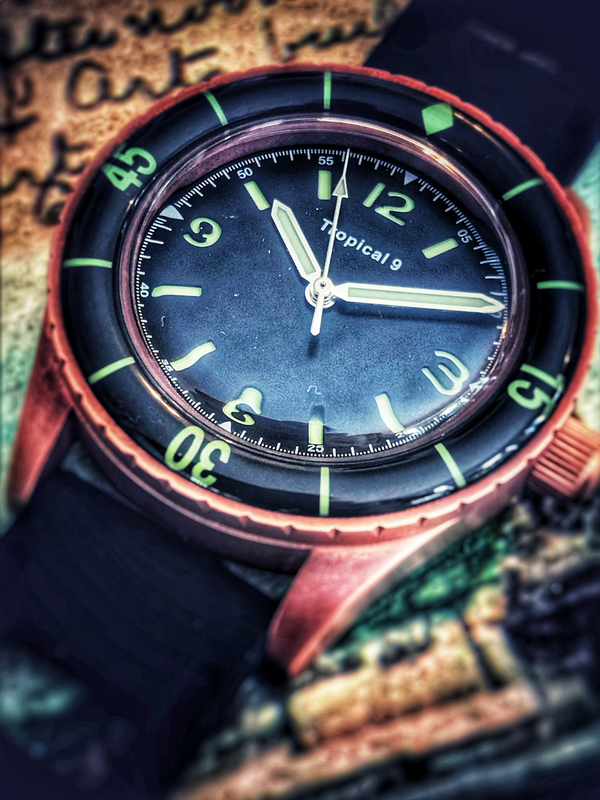 Yellow-green lume lights up the bezel, sandwich dial, and pencil hands. It is a simple but handsome 12/3/6/9 layout interspersed with bar markers and a printed minute index. To my eye, the "Tropical 9" branding lets it down as the typeface is rather unimaginative. A dial with the TC-9 hourglass logo will be offered if the project funds. The first stretch goal is a "no-radiations" dial for even more of a retro vibe. 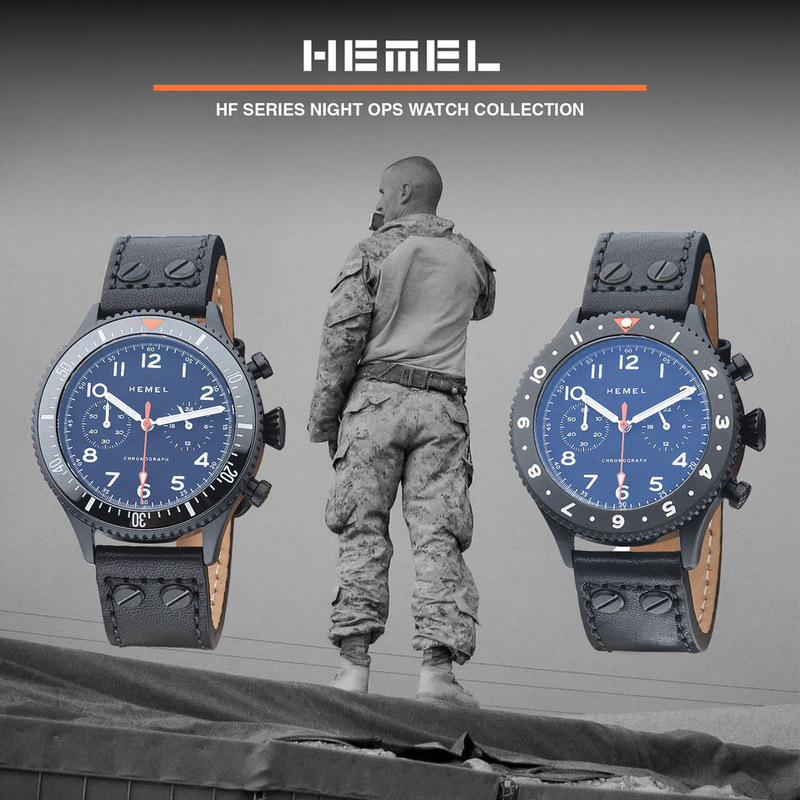 The watch will ship with a 20mm synthetic rubber dive strap. Horween leather is a stretch goal.